Get inspired by more than 80 dynamic templates. 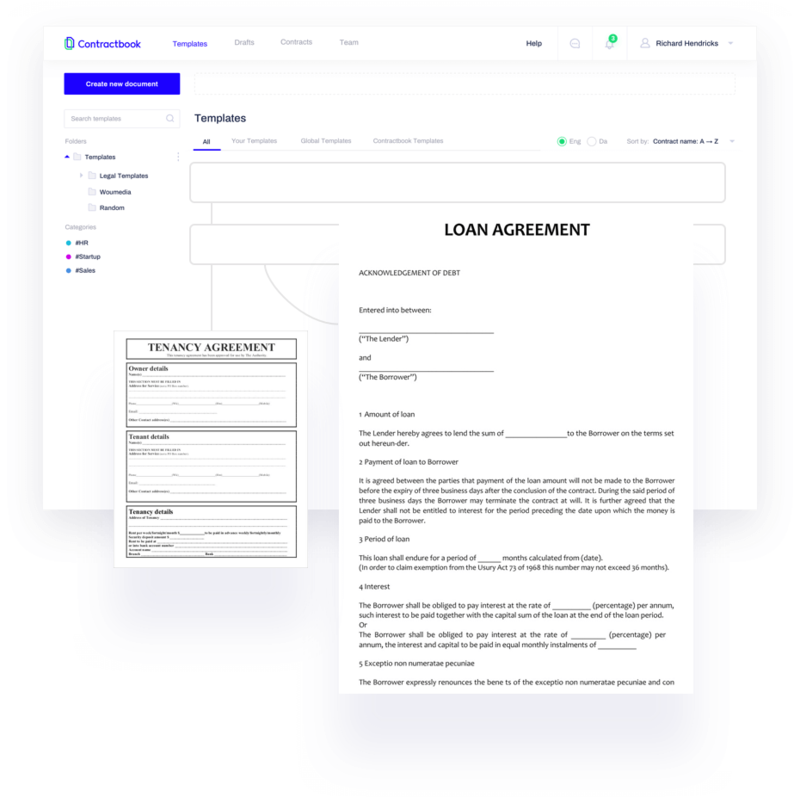 It makes your contractual work simpler, easier and more efficient. edit the content or just fill in all blank fields. or use the editor to create a new. We have created a help-center with articles explaining how you can optimize your contractual work. Do not hesitate to reach out if you have further questions or prefer a live demonstration. Once a contract is send, you can easily track if and when it was opened or signed. All your contracts are securely stored in the cloud but you can access them anywhere. Our templates are available in two languages: Danish and English. 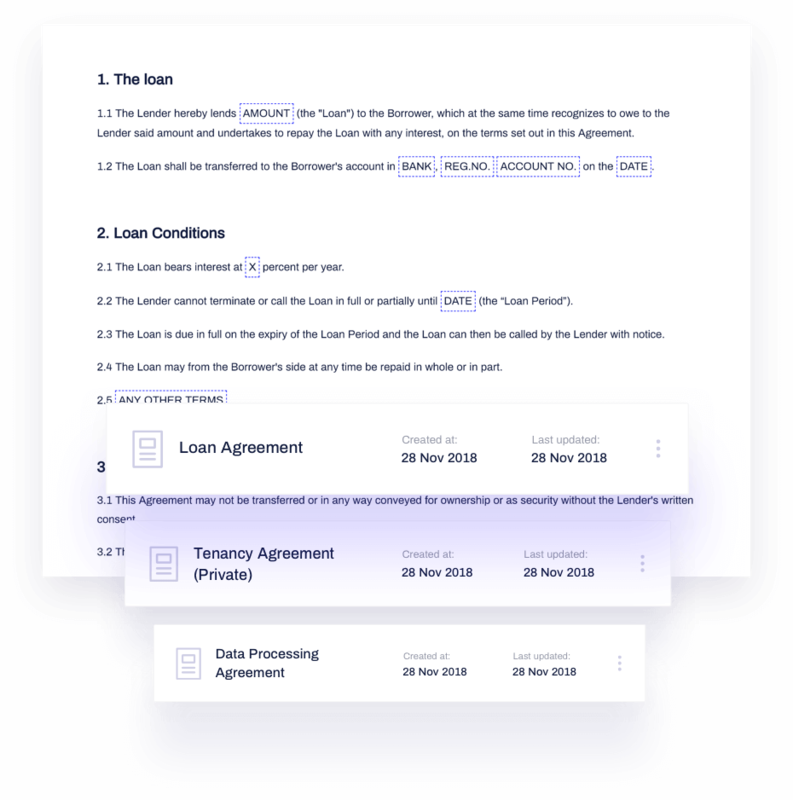 unlimited contracts, templates and documents with Suits. 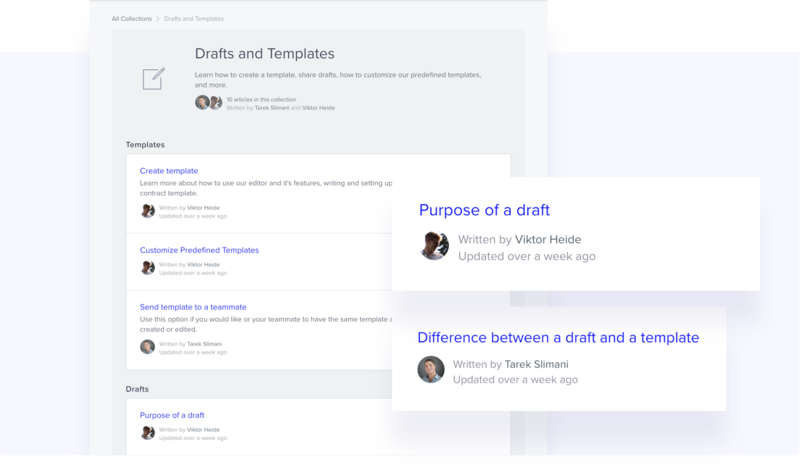 Share templates and make synchronized updates for multiple templates with one click. everything is in it's right place.